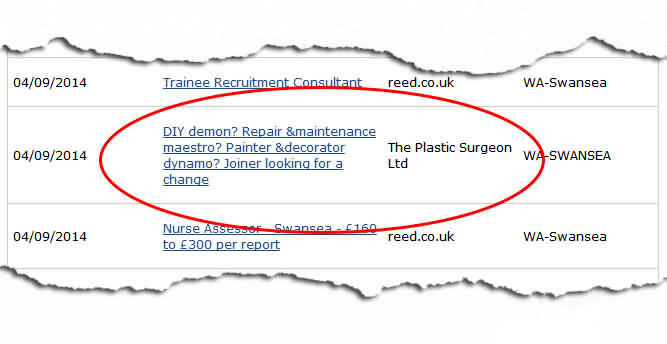 As seen on the Direct Gov jobsearch pages. I wonder if they are registered with the British Association of Plastic Surgeons. Yes, the acronym is BAPS (we British have a lot of fun with this as “baps” is slang for breasts), although they’ve now added and extra “A” for “aesthetic”, like that’s going to work!